BLOG | Hose & Fittings, Etc. Corrosive environments and extreme temperatures, high or low, present challenges for everyday fittings, especially in high-pressure applications. JIC fittings in larger sizes do not provide an adequate pressure rating, and O-rings in ORFS connections are susceptible to erosion. Extreme environments require extreme solutions. If you are repairing or maintaining hydraulic equipment, you make and re-make connections daily. You know to use plugs and caps to plug open ports and cap disconnected hoses, in order to keep the the dirt out and oil in. This method works for most connections, but when it comes to flanges most mechanics' oil containment method is to shove a rag into the open port, and another in the end of the disconnected hose (or tube assembly). Now, there's another option – using FlangeLock™. 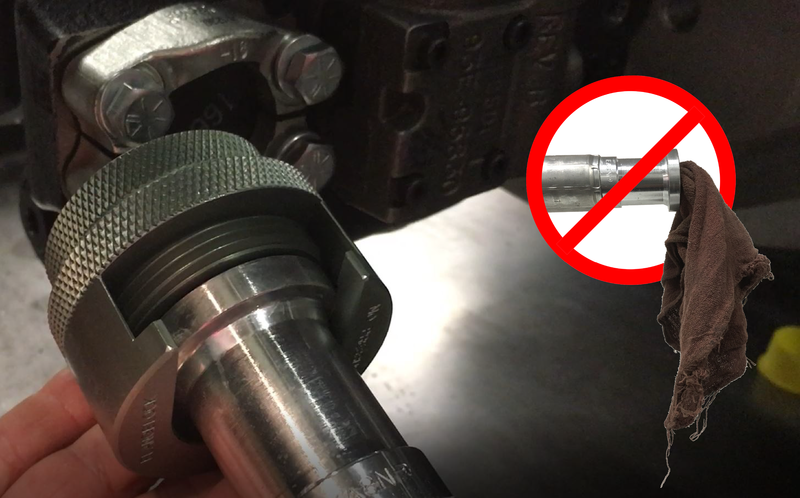 The FlangeLock™ allows for quick, simple sealing of open SAE Code 61, Code 62 & CAT-style hydraulic flange connections without tools. 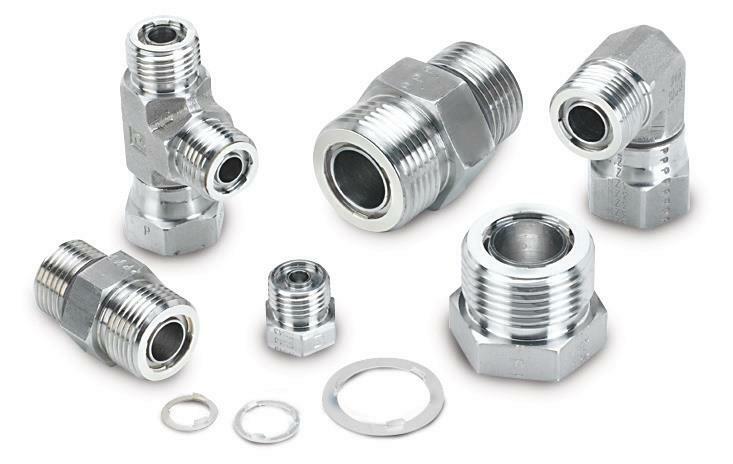 It is the ultimate spill and contamination control during disconnecting and re-connecting flange fittings. 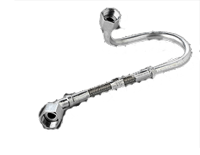 Depending on your equipment, an oil change can be a complicated, potentially messy process. It is often necessary to remove pans full of oil that can spill onto the floor, slosh onto workers, or contaminate the environment. The steps for the process can also change from vehicle to vehicle, requiring special training and instructions for each one. For companies with a wide variety of equipment, this can be cost prohibitive and time consuming. A standardized process like Parker’s QuickFit System is needed to simplify the steps and prevent spills and injuries. Factors like fluctuating or inexperienced personnel, shortage of skilled workers and increasingly difficult installation conditions can lead to tube assemblies being incorrectly installed. The results are leaks, costly downtime and inefficiency, as well as increased safety risks. Driven by the customer desire for simplified fitting technology, Parker developed the innovativeEO-3® flareless fitting system. Utilizing a special tapered thread and visual status recognition, it speeds tube assembly and improves assembly accuracy. In many automated manufacturing applications, assessing potential safety risks posed by unexpected power failure is an essential part of overall system design. You need to take appropriate measures in order to reduce the risk of injury to machinery operators and other personnel, and prevent damage to the products being assembled. In the case of any kind of unexpected interruption in operation, the equipment must meet safety standards that prevent unsafe situations from occurring. 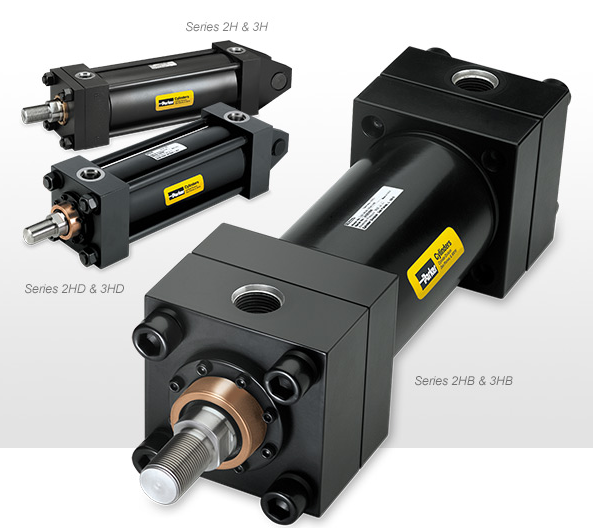 Last year, Parker introduced the Gen II style hydraulic cylinders, which replace the legacy 2H and 3H series. 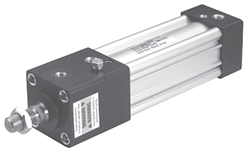 This change brought many improvements to the cylinders' delivery times and longevity. So how do you convert your old part numbers to the Gen II cylinder part numbers? The short answer is that Parker already did the work for you - for the most part. A cylinder attached to your equipment has broken down and needs to be repaired or replaced. Before you can get it fixed, however, you will need to identify the type of cylinder that you have. If you’re lucky, you will be able to find a part number and other OEM information located somewhere on the cylinder body. From there, a Google search will most likely lead you to a distributor who can sell you a replacement, or at least parts to fix the broken cylinder. 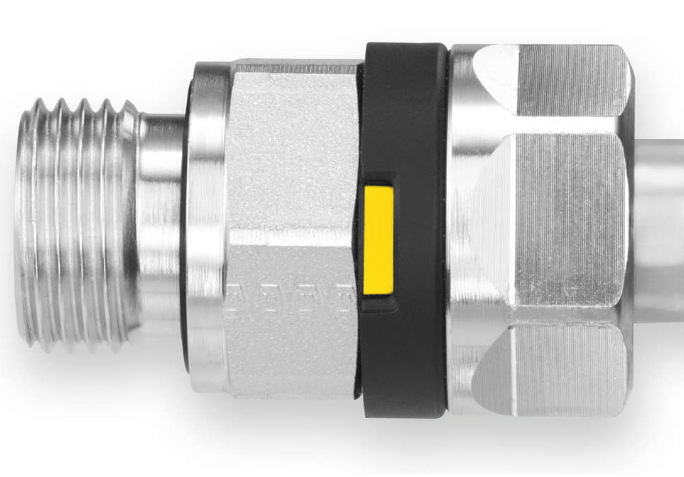 When would you choose a hose assembly over a metal tube assembly? 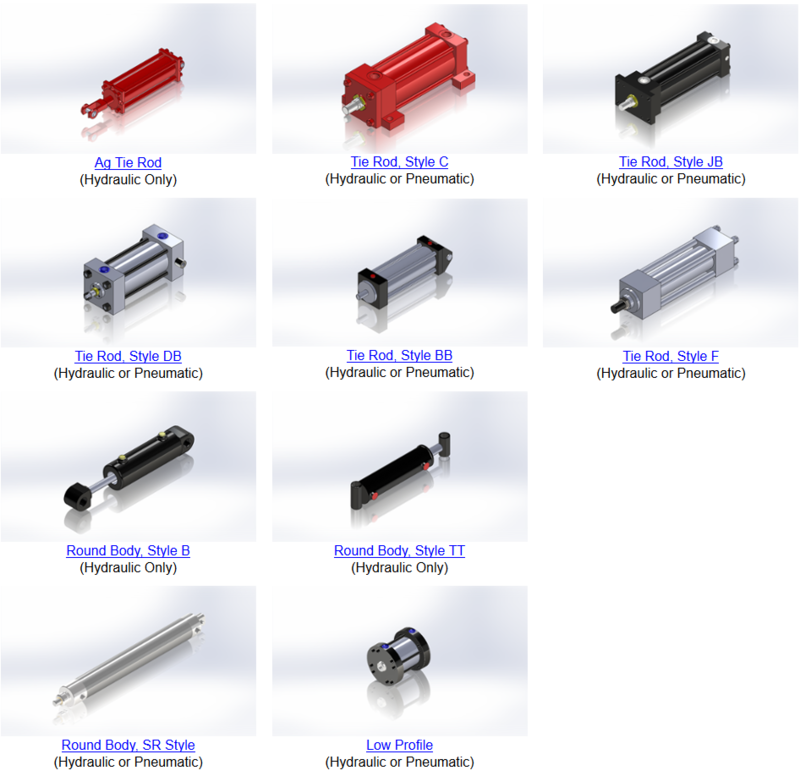 When would you choose a metal tube assembly over a hose assembly? Can you replace a hose with a tube or a tube with a hose? Should you? You may recall an earlier blog about the electrical conductivity of rubber hose back in April of 2013. In this blog, we discussed that unless a hose is specifically designated as either conductive or non-conductive, you must assume that the electrical properties of the hose are not controlled during the manufacturing process, and that conductivity of the hose can change with each production run without notice. 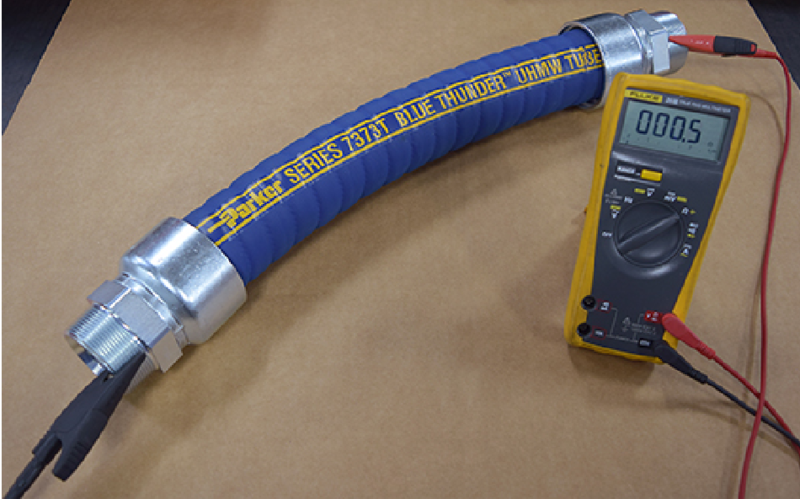 In this blog, let’s look at what can be done to make your industrial hose assembly electrically conductive for the purpose of dissipating static electricity buildup. 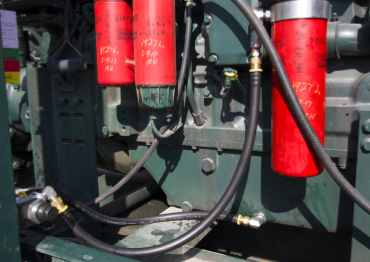 Back in May, you may have read our blog about remote hydraulic system condition monitoring. 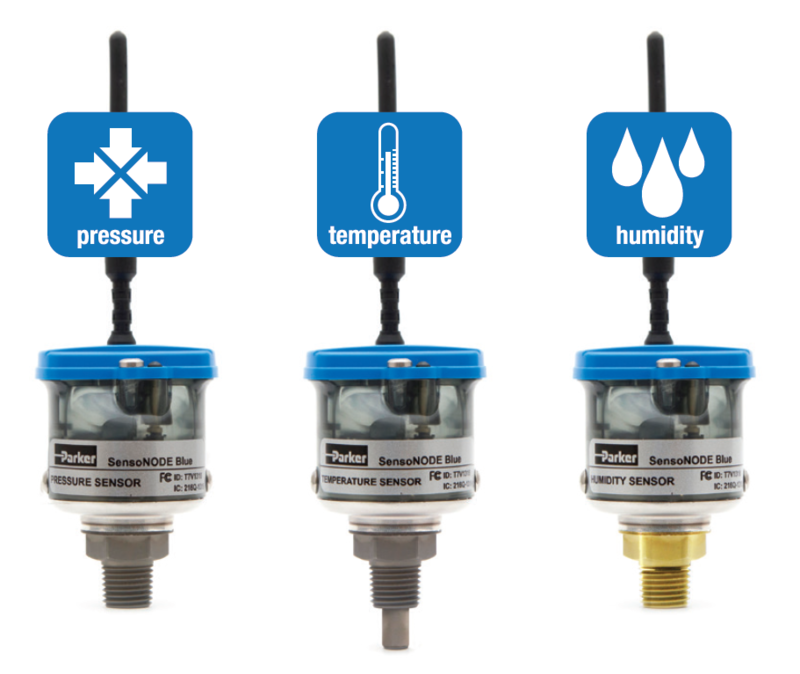 In that post, we presented Parker’s SensoNODE™ line of sensors, which monitor temperature, humidity and pressure changes in a hydraulic system and can be accessed remotely via Bluetooth® app. However, the connected technology of the Industrial Internet of Things (IIoT) is growing and changing rapidly – just five months after the original post, there is already more to share with you on the topic. First, we will quickly review the three major methods of monitoring the condition of your hydraulic equipment. © 2015 Hose & Fittings, Etc.